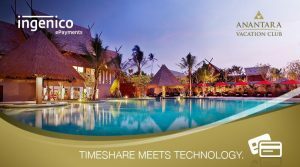 Ingenico ePayments, the online and mobile commerce division of Ingenico Group, announced that it has signed an agreement with Anantara Vacation Club , Asia’s premiere shared vacation ownership programme, to provide online payment acceptance and processing. Launched in 2010, Anantara Vacation Club offers a points based, flexible shared vacation ownership concept for consumers wishing to holiday across Asia and beyond. Ingenico ePayments’ platform enables Anantara Vacation Club to accept a wide range of payment methods and currencies, with the benefits of full transparency and control. “As we are growing our global footprint in a wide variety of markets, we found that we needed a payment service provider that can offer the appropriate local payment methods in each individual market and assist us in the seamless collection of recurring Club Fees. We were looking for a solution that helps us manage the complexities of data protection and offers a secure environment for our customers. Ideally, we wanted a custom-built, integrated interface to enhance the user experience for our guests and offer security surrounding their sensitive data,” said Maurizio Bisicky, Chief Commercial Officer at Anantara Vacation Club. “With Ingenico ePayments, we found a partner offering the right combination of global reach and local expertise. Furthermore, Ingenico’s full-service model provides a single interface with consolidated reporting and remittance, which reduces the complexity of managing a multi-market eCommerce operation and lets us focus on optimization and growth.” added Howard Leigh, Chief Financial Officer at Anantara Vacation Club. “The hospitality industry is constantly changing, and the rise of Online Travel Agencies has given hospitality brands an additional incentive to take online sales payments seriously. Anantara Vacation Club has put in place an end-to-end payments solution that will help the company connect with their guests directly, drive revenue, and reduce cost and complexity.” said Nick Tubb, General Manager Asia Pacific at Ingenico ePayments.